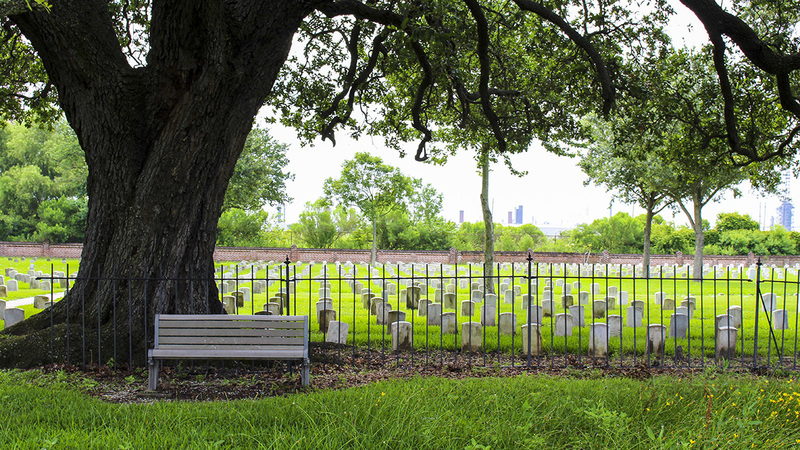 Located seven miles downriver from the Vieux Carré, the 143-acre Chalmette Battlefield commemorates the remarkable American victory at the Battle of New Orleans in 1815. 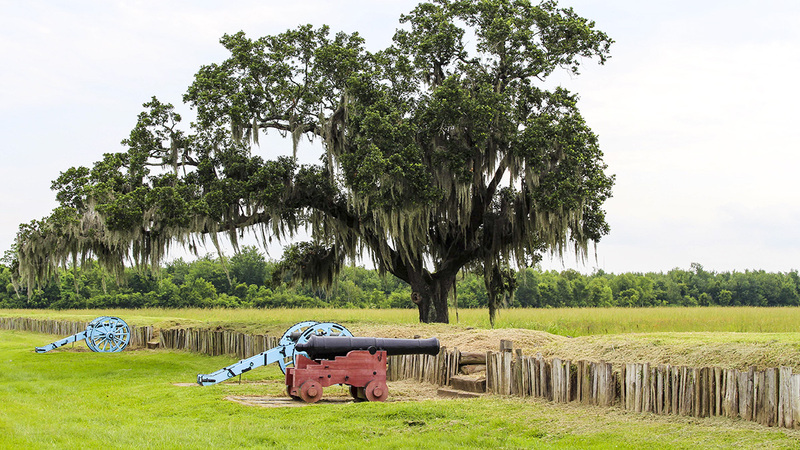 Originally part of the Chalmette de Ligny plantation, the State of Louisiana purchased the Chalmette Plains, a significant portion of the six-mile-long battlefield, in 1855. 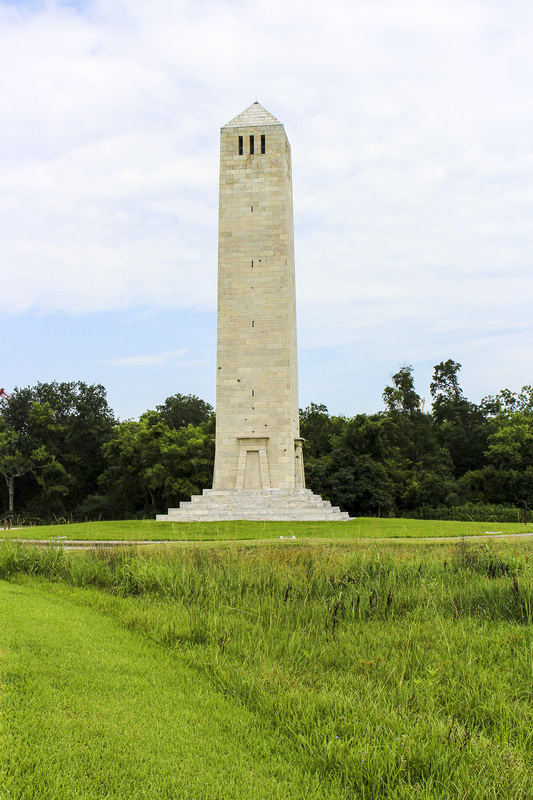 Federal construction of a 155-foot-high memorial obelisk began in 1855 but was interrupted by the Civil War and completed in 1908. 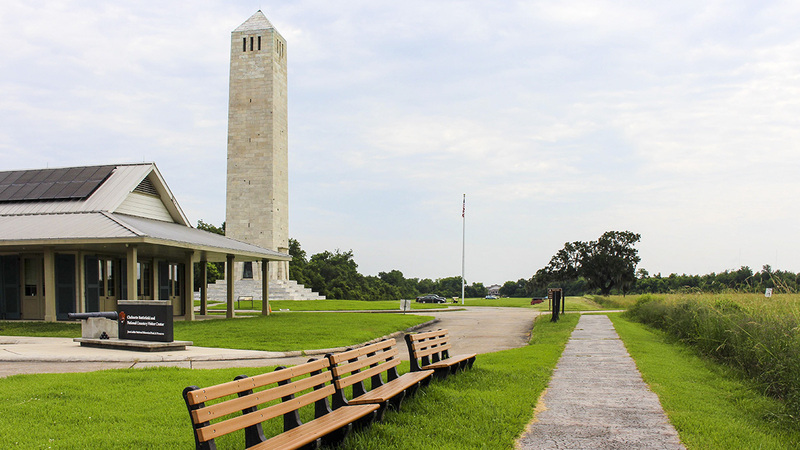 In 1933 the National Park Service began managing the battlefield, which was declared Chalmette National Historical Park in 1939. 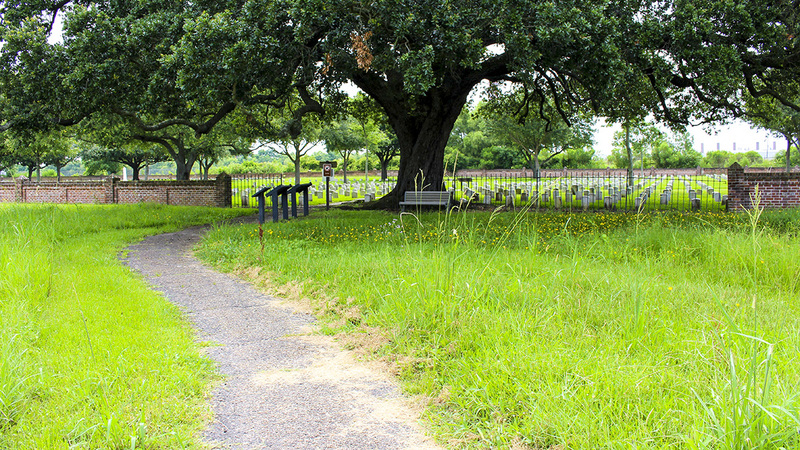 In 1965 a vehicular loop road was constructed for touring the battlefield, wayside markers introduced, and the American rampart partially reconstructed. 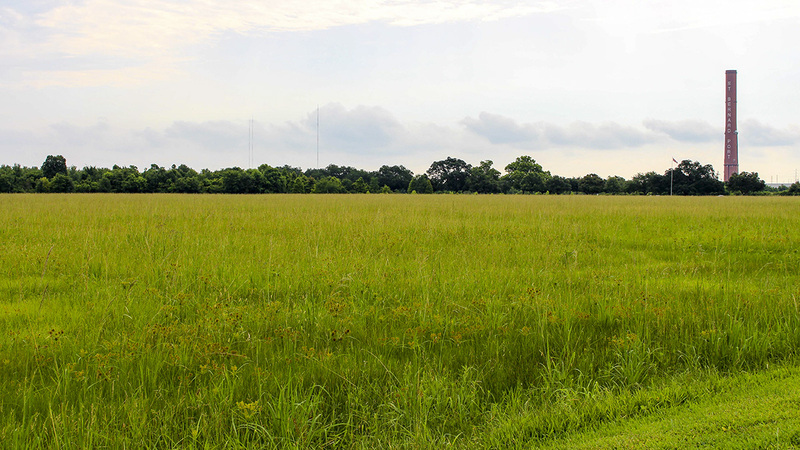 Surrounding industrial development has diminished the setting’s rural character, and levees built along the Mississippi River have blocked the strategic views from the site. 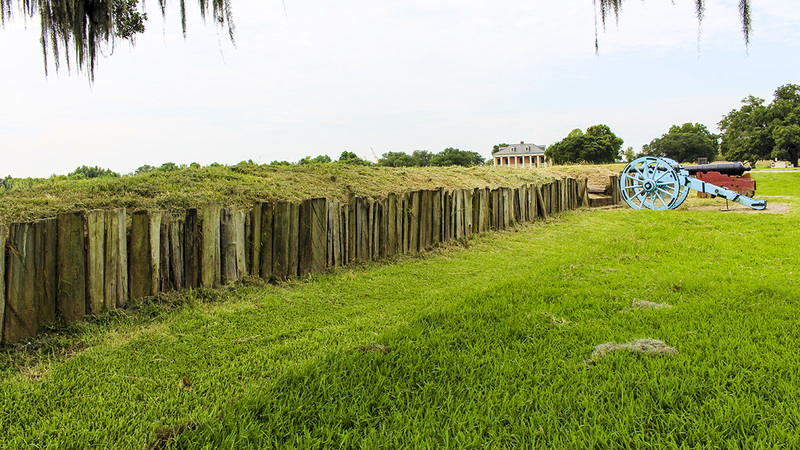 Running the length of the battlefield along the east side of the rampart are the remnants of a canal, which marks the American defensive line and once connected the Mississippi River (to the south) with a cypress swamp to the north, which has since been logged. 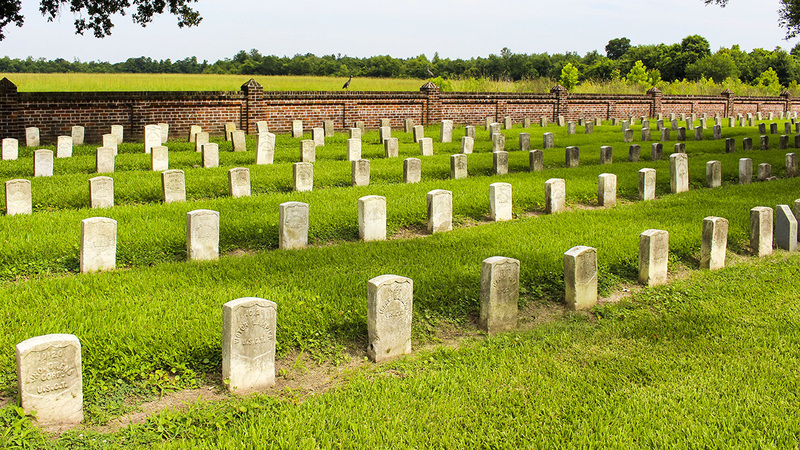 The Chalmette National Cemetery, established in 1864 as a burial place for Union soldiers who died in the Civil War, borders the battlefield further to the east, separated from it by a low, brick wall. A second-growth woodland thicket stands north of the interpretive tour loop, buffering the site from nearby industrial development. 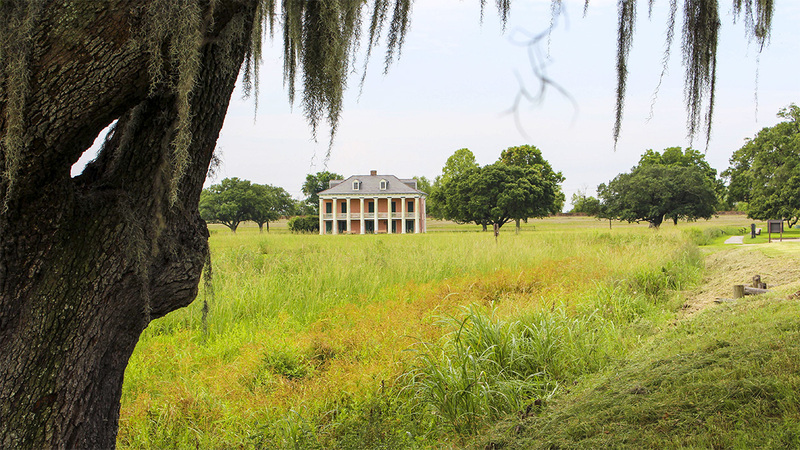 The Malus-Beauregard house, built in 1830, today serves as a museum and visitors’ center at the southern end of the site. 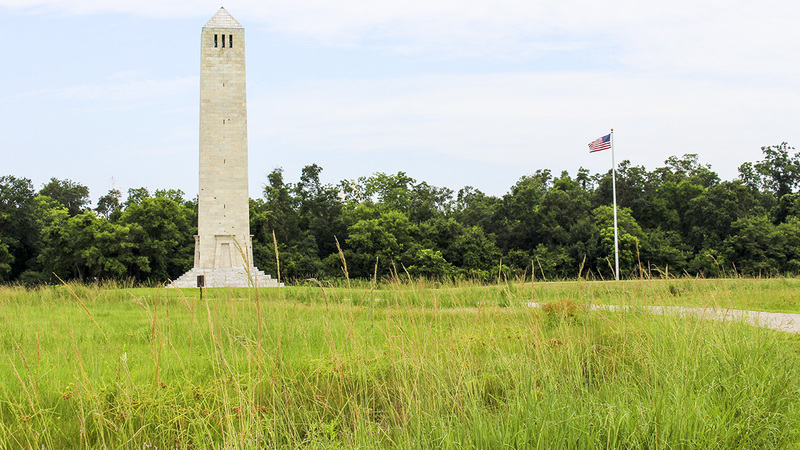 A design competition was held to create a new memorial on the battlefield in 2013, with the winning proposal, by Design Workshop, envisioning an interpretive trail at the wooded northern end of the site. 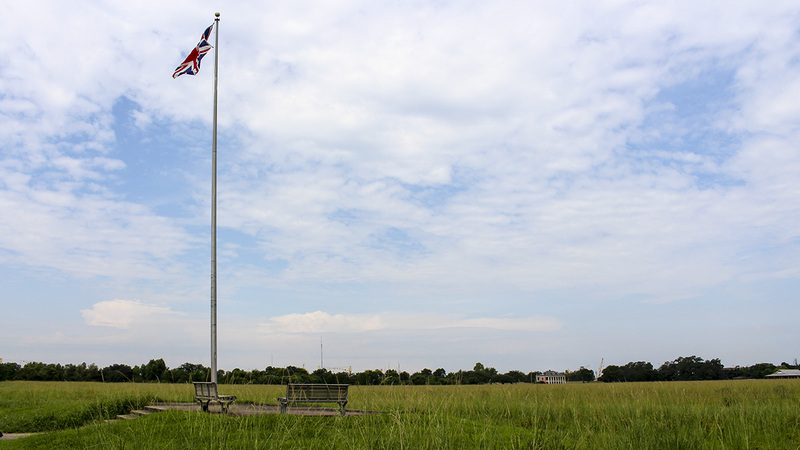 Chalmette Battlefield is part of the Jean Lafitte National Historical Park and Preserve, and was added to the National Register of Historic Places in 1966.